First of all, you’ll need a Github-account to upload your files. Github is a repository hosting service, which is being used by mostly anyone who works in the Software Industry. You can find loads of amazing software- and even designprojects on Github, where people participate and share their code, design, documents and knowledge. By setting up your account and uploading your first files you’ll probably become familiar with Github really fast, so you can use it for your future projects as well, even though you might be overwhelmed by the ui at first sight. Go to https://github.com and create your free account – if you’re a student, you can even get the free student pack (https://education.github.com/pack), which gives you a bundle of useful products for free, as long as you’re a student. 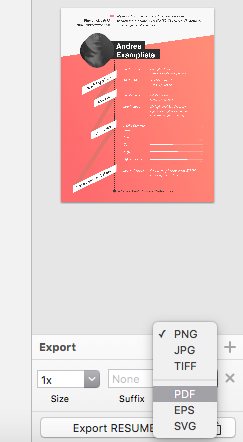 Next, open the Photo.psd file in Photoshop and double click on the highlighted smart-object layer. Insert a photo of yours in the opened tab and click save (CMD + S). Afterwards, go back to the main photoshop file and save your new picture as photo.png (You might have to overwrite the already existing one). Next, log in to your account again and create a repository where you’re going to upload your files. 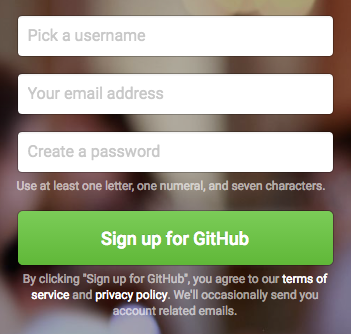 Name your repository like this: your //name.github.io . Congrats – Your first project is online! After that, click on “Upload files”. By just “drag and dropping” your files, you can transfer your files immediately. Drag all files but the sketch-file into the “upload”-field. If you want to give your “commit” a description, you can do it now. Afterwards, click “commit changes”. Boom! Your site is on the web! Open on the index.html file and click on the “edit”-pen-symbol in the right corner. We’ll now edit the site to display your profile information. Enter your name in <h1>, your short profile-information in <h2> and the links to your social media profiles in the section id=“sm_links”. Feel free to change the social media buttons to your preference – buttons for behance, dribbble and linkedin are also included in the folder. Lastly, change the href-Parameter for the “resumeButton” to the destination of your resume.pdf – file, so the user of your site can download your resume-file at the click of a button. If you previously saved your pdf-file as resume.pdf, just type in exactly that name. Go to the main page of your repository again and click on “Settings”. 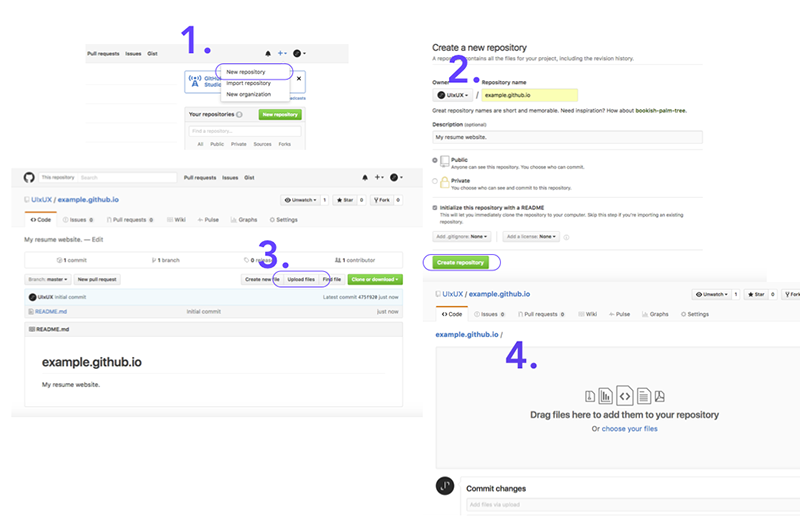 In the Settings-menu, scroll down to “Github Pages”, click on Source – “none”, choose “Master branch” and save. Voila! Your page is up and running at https://github.com/YOURNAME/yourreponame.github.io . If you have a custom domain, you can simply enter it in the Settings at “Github Pages – Custom Domain”. You can buy your own domain at various name hosting companies for as low as 88 Cents.